The Pacheco softball team is home to three of the top baserunners in the Sac-Joaquin Section, from left: Yosselin Castillo, Alexis Parra and Sarah Garcia. Editor’s Note: The FrontRowPreps.com statistical leaders, presented by Joaquin Painting, will publish every Monday during the regular season. Only athletes who have statistics entered into MaxPreps will appear on the leaderboards. Statistics as of Sunday, March 17. LOS BANOS — Rabbits are running wild on the West Side. These aren’t the fluffy-tailed, long-eared hoppers that live in the fields. 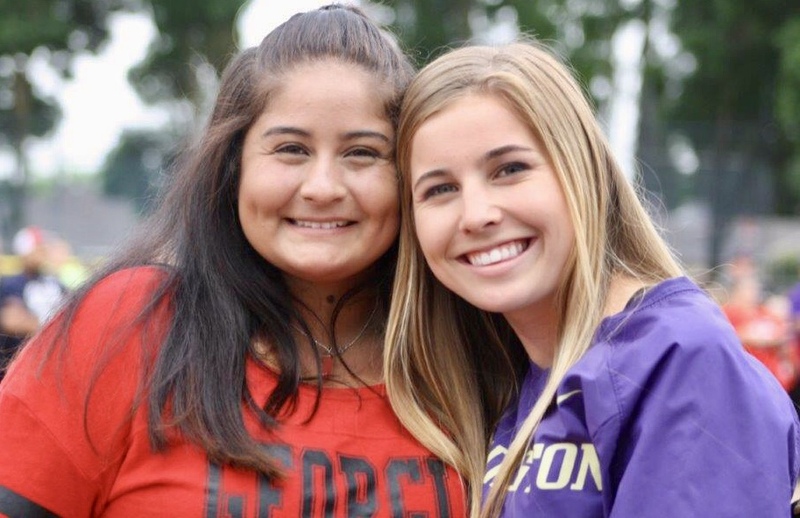 These are three of the fastest players in the Sac-Joaquin Section, and their speed and wit on the base paths have lifted the Pacheco High softball team as it waits for the boppers — not the hoppers — to come around. The Panthers are 6-4 and barrel into the new week on a two-game winning streak. Pacheco kicks off a three-game homestand with Lathrop on Tuesday, Stone Ridge on Christian Wednesday and Davis on Thursday. He calls those speedsters “The Rabbits.” Yosselin Castillo leads the section in stolen bases with 22 through the first 10 games. She is followed by Alexis Parra, second in the section with 13 stolen bases. Teammate Sara Garcia joins them in double figures with 10. As a team, Pacheco has swiped 64 bags. Castillo is the pace-setter. She is third in the state in stolen bases and ranks among the region’s leaders in hits with 16 from the leadoff position. Pikas sprinkles speed through his lineup, realizing there are four girls capable of sparking a rally at any moment. Castillo and Parra are entrenched as the first two hitters, while Garcia and Elizabeth Cornejo (five stolen bases) occupy the fifth and sixth holes. “We’re about putting pressures on the defense,” Pikas said. “If teams can take that away, we might have to figure some other stuff out. 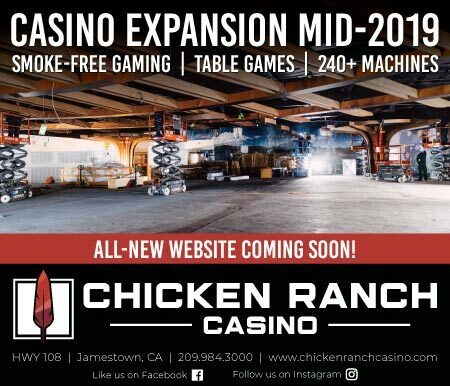 Right now, it’s working. 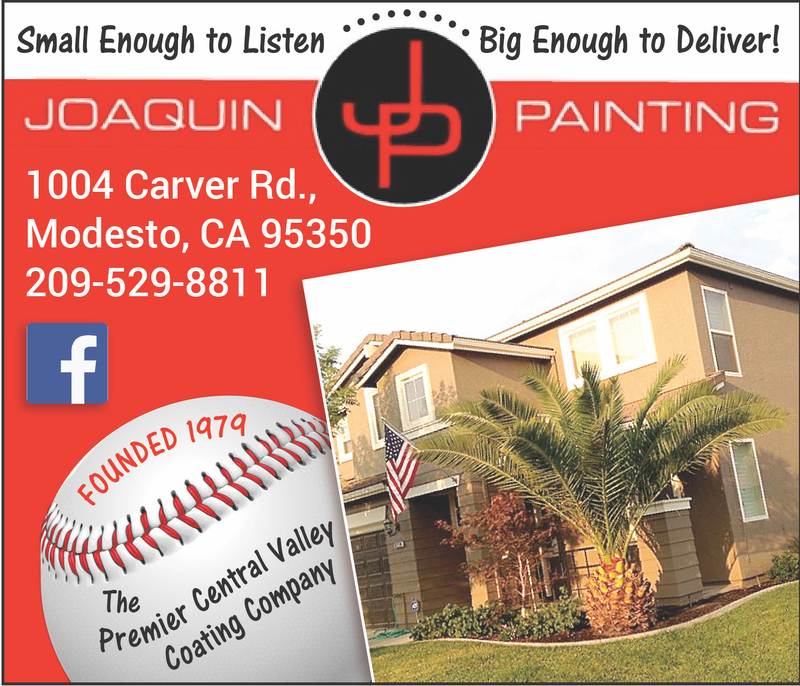 Batting Average (minimum of 20 at-bats): Isabel Torres (Lathrop), .654; Kai Deleon (Pitman), .643; Steele Shumway (Pitman), .636; Sam Matlock (Mariposa), .630; Kali Gose (Hughson), .625; Elizabeth Thomas (Ripon Christian), .600; Vanessa Saltos (Golden Valley), .583; Molly Haley (Buhach Colony), .583; Tawni McCarty (Waterford), .583; Sheridan Gulley (Davis), .565; Caitlyn Cole (Stone Ridge Christian), .562. 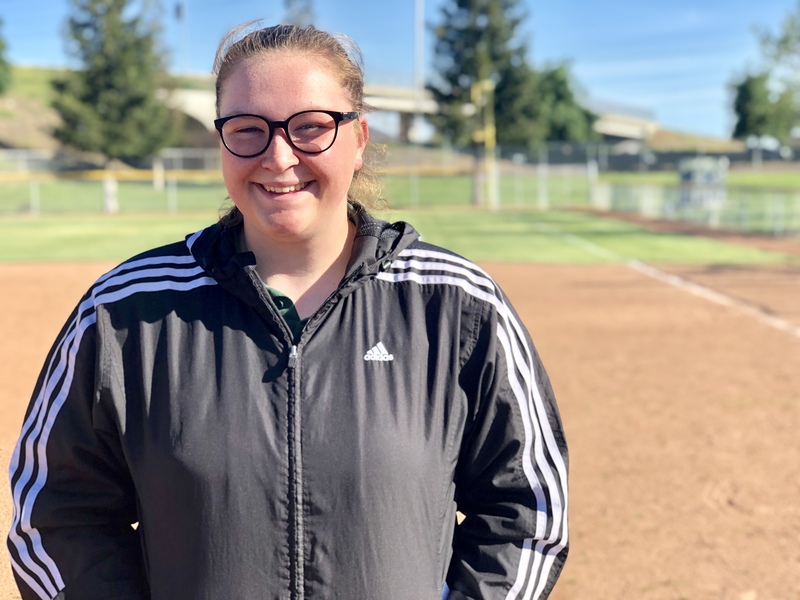 Hits: Kali Gose (Hughson), 20; Caitlyn Cole (Stone Ridge Christian), 18; Kai Deleon (Pitman), 18; Hannah Ortega (Linden), 17; Katie Thornsberry (Hughson), 17; Sam Matlock (Mariposa), 17; Isabel Terra (Lathrop), 17; Gabby Herrera (Linden), 16; Yosselin Castillo (Pacheco), 16; Hollee Travao (Modesto), 16. Home Runs: Hollee Travao (Modesto), 3; Kiya Smith (Mariposa), 3; Kaylee MacDannald (Manteca), 3; Taya Escalante (Linden), 2; Maikyla Nelson (Gregori), 2; Arabella Starch (Escalon), 2; Katie Aragona (Los Banos), 2; Abby Flores (Merced), 2; Molly Haley (Buhach Colony), 2; Shania Evans (Ceres), 2; Tawni McCarty (Waterford), 2; Alyssa Donaldson (Waterford), 2; Haylee Medeiros (Orestimba), 2. Runs Batted In: Gabby Herrera (Linden), 20; Madison Lara (Linden), 17; Kali Gose (Hughson), 17; Elizabeth Thomas (Ripon Christian), 17; Hannah Ortega (Linden), 16; Sheridan Gulley (Davis), 16; Julia Copland (Big Valley Christian), 14; Taya Escalante (Linden), 13; Maikyla Nelson (Gregori), 13; Shania Evans (Ceres), 13. Stolen Bases: Yosselin Castillo (Pacheco), 22; Alexis Parra (Pacheco), 13; Caitlyn Cole (Stone Ridge Christian), 11; Taylor Brewer (Waterford), 11; Sara Garcia (Pacheco), 10; Kristyn Dexter (Big Valley Christian), 9; Desiree Camarena (Davis), 9; Malia Babasa (Escalon), 8; Dashanae Parker (Modesto), 8; Kaitlyn Rau (Big Valley Christian), 8; Gracia Alves (Pitman), 7; Kai Deleon (Pitman), 7; Megan Johnson (Pitman), 7; Viviana DelaCruz (Gustine), 7; Karlee Juarez (Bret Harte), 7; Maddy Insell (Pitman), 7. 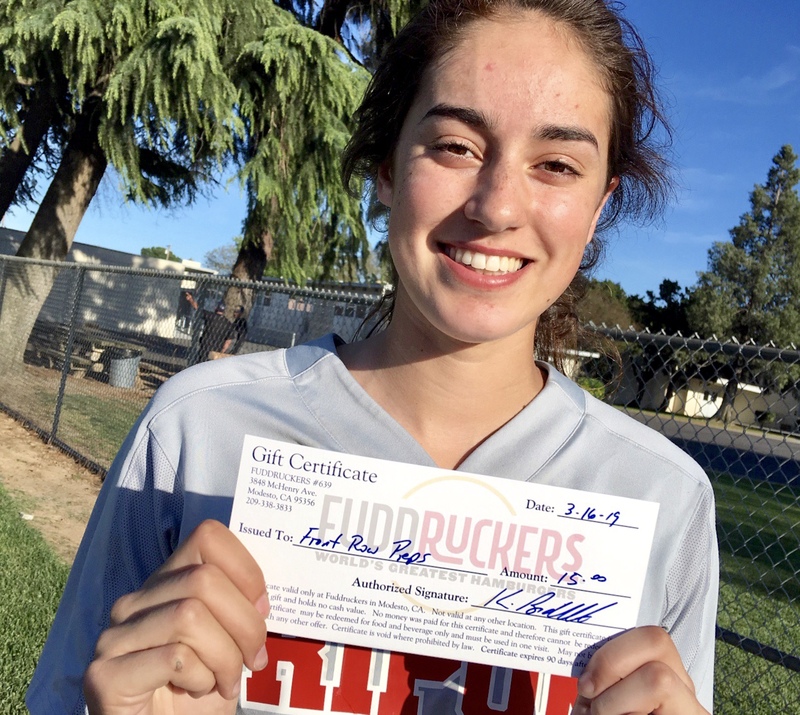 Earned Run Average (minimum of 25 innings pitched): Hannah Ortega (Linden), 0.00; Marissa Bertuccio (Golden Valley), 0.15; Shelby Frutoz (Turlock), 0.74; Maikyla Nelson (Gregori), 1.07; Emma Hicks (Pacheco), 1.70; Emma Eastman (Stone Ridge Christian), 1.93; Kristyn Dexter (Big Valley Christian), 2.60; Trisha McCleskey (Merced), 2.62. Wins: Hannah Ortega (Linden), 10; Marissa Bertuccio (Golden Valley), 7; Tawni McCarty (Waterford), 6; Leila Ruiz (Davis), 6; Emma Hicks (Pacheco), 5; Trisha McCleskey (Merced), 4; Brooklyn Hefferman (Ceres), 3; Lexie Webb (Oakdale), 3; Hannah Nelson (Stone Ridge Christian), 3; Jayden Brazil (Hughson), 3; Madison de Graaf (Ripon Christian), 3; Haylee Medeiros (Orestimba), 3; Alyssa McCabe (Buhach Colony), 3; Shelby Frutoz (Turlock), 3. 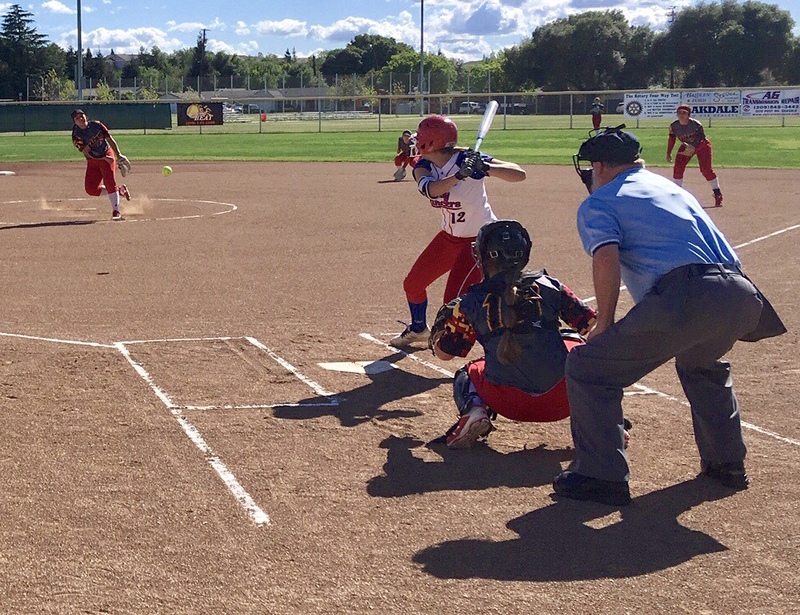 Strikeouts: Hannah Ortega (Linden), 110; Marissa Bertuccio (Golden Valley), 91; Tawni McCarty (Waterford), 67; Shelby Frutoz (Turlock), 55; Hannah Nelson (Stone Ridge Christian), 54; Emma Eastman (Stone Ridge Christian), 49; Arabella Starch (Escalon), 47; Trisha McCleskey (Merced), 46.